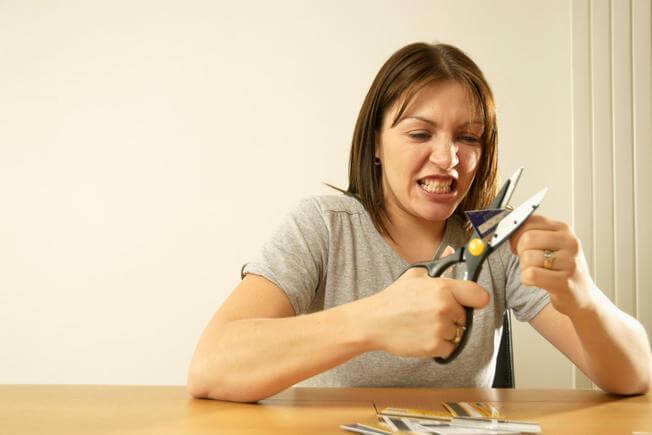 Should You Cut Up Your Credit Cards & Throw Them Away? A source of convenience for some, a nightmare for many. If I was given $1 every time anyone at an online personal finance forum exclaimed: “Guys, credit cards are evil! Credit card companies are ripping us off. We should all get together and have a credit card bonfire!”, I would have a lot more money than I have today. No matter how we feel about credit cards, the ultimate truth is that they are just a tool. They just magnify our behaviors and patterns. They just show us who we really are down to our very core. In essence, they are our reflection in the world of financial education. If you use them carefully, they reward you. If you go on a shopping spree with an utter disregard for who will settle the balance and when it will be paid off, you will probably not sleep peacefully at night. I personally believe that most credit cards have benefits which far outweigh their costs. Credit on demand: Duh. There’s always a time in someone’s life when an unexpected expense comes up, we get sick, someone in our family needs the money etc. This is a place where you can use a credit card. The problem is, many people seem to think that credit on demand is free credit. They max out their credit card, get a new one and use the new credit card to pay for the balance on the old credit card. Not cool. Simple personal finance: Another benefit is that since a credit card can be used at most shops, outlets and vendors, online or offline, you can quickly manage your finances. All you have to do at the end of the month is to make sure you pay the balance off. If you don’t it’ll start getting ugly. Reward points: Many credit cards allow you to accumulate reward points which can be used for various purposes. For example, I have an RBC Visa Avion card which has helped me purchase many goods and services for free. Currently I have over 120,000 points on it and I can fly from Toronto to Europe and back for free. The point is, if you do it the right way, credit cards help you cut down on your expenses by offering you something for free. Buyer protection: If you make a payment for a product or a service online, your risk is minimized. If you don’t receive your deliverable, all you have to do is open for a dispute. Credit card companies are ruthless when it comes to protecting your interest. Once I paid a vendor in the UK $600 for content writing services. I never received my deliverables so I opened a dispute through Visa. Needless to say, I was refunded my entire amount in 6 weeks. 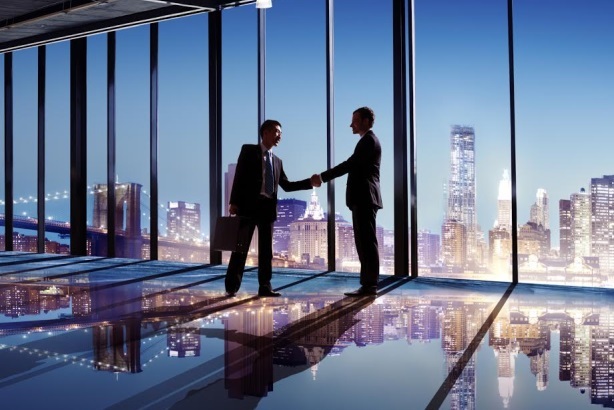 Buyer protection is an absolute must especially when you cannot meet your vendor personally. Insurance: Many credit cards have different insurance terms that you can use. For example, my RBC Visa Avion allows me travel insurance and rental accidental insurance for free. The only catch is that I have to charge the travel trip and the rental car on the credit card. Not too much of a hassle for the benefits I receive! Now you might be asking, if there are so many benefits to credit cards, why are the masses always hating on them? Well, to be fair, the masses don’t really hate on credit cards in the beginning. People get introductory offers for credit in the form of an online invitation, a snail mail to their home address, in their college or university if they happen to walk by the local bank branch etc. Since most people are offered a credit card limit of at least $1000 at the beginning (at a teaser rate), they think of it as free money. And since most people are undisciplined when it comes to going on a shopping spree, the “free” money gets used up quickly and the credit limit is reached. It is the same behavior we follow when our favorite aunt graciously gifts us $1000. Do we save the $1000 for a rainy day? Do we invest it somewhere we hope it will grow over time? Do we value the gift of $1000 the same way we would value $1000 had it been the result of our sweat and tears? Most of us are programmed to use the gift (translated: free) money to buy clothes, movies, electronics or simply take our friends out for lunch at a fancy place. This is exactly where the issue lies. Credit cards themselves aren’t really bad or evil. It is our lack of discipline on an aggregate level which turns them into a nightmare for us. So even if we follow the mainstream advice and “cut up our credit cards”, we will still not benefit much. This is because if we are programmed to binge shop or spend money without thinking the spending process through, we can use a debit card or our bank balance to finance the purchase. A really good friend of mine, while unemployed, purchased a $700 laptop on his credit card. Since he didn’t have the money, he was forced to make minimum monthly payments. He paid around $30-50 every month for 18 month until I got to know about the situation and urged him to pay the balance off ASAP. Long story short, he paid around $1250 in total for something which would have cost him only $700. Why he purchased a new laptop when his 2 year old laptop was working just fine is beyond me (I have a 5 years old Acer laptop that I love and I have no intention of buying a new one). Anyway, back to credit cards. Since a lot of people still seem to think credit cards are out to get them, it got my thinking. Why do people not think of credit cards as just a tool? Why are they so “reckless” or “carefree” when it comes to using them? Why has the average American household under at least $7281 of credit card debt? And finally, why are people so oblivious to the fact that the interest charged on their credit card debt is over 20%? Lack of financial IQ: Most people make impulse purchases, irrespective of how much they cost. I have witnessed people buy a $99 item and pay $44 on shipping for it. Most people do not really consider when they will pay the credit card off. All they want is instant gratification NOW, on the expense of losing a great deal of net worth (and sleep) for months later. Ignoring the details: Credit cards are expensive if you let a balance run. Credit card companies are counting on you to not pay off the balance at the end of each month so they can charge you a lot in interest. And when I say a lot, I mean a lot. Charging over 20% per year is actually the norm and not the exception. Most people have no idea how much their credit card company charges them. They remember signing at the bottom of the loan agreement document but can’t recall the exact details. Keeping up with the Joneses: The poor and middle class are known to purchase items or services which they simply can’t afford. Now this is an over-simplification but that’s what the trend is. After all, competing with your neighbors in terms of clothes, cars, accessories etc. and looking more hip & classy is necessary. However, it definitely comes at a huge price. Unfortunately, many of us try to impress everyone at our own expense (no pun intended). Instant gratification: Many of us just don’t care how we will pay for the purchase; we just want to buy it right now! After all, we only live once right? That seems to be the mantra of the general public in terms of purchases on credit. I know I sound a little cynical but that is not the aim. The aim is to help you understand how making use of credit the wrong way can turn out to be a disaster. Remember, credit card companies would actually love for you to keep on making the minimum payment towards your credit card balance. The only thing that stops them from getting too comfortable is the fear that you might become delinquent and declare bankruptcy. And this is exactly what happens to people who do not keep their bad debt in check. I write about credit for a living so I tend to believe credit cards offer more good than bad. With that being said, credit cards are simply toxic for some people. It helps to know if you are someone who can’t handle it for some reason! I used credit cards unwisely for many years. Now, I only use my Amex because I have to pay it off. Credit is an addiction. Some can handle a drink a day and others should not touch the stuff.